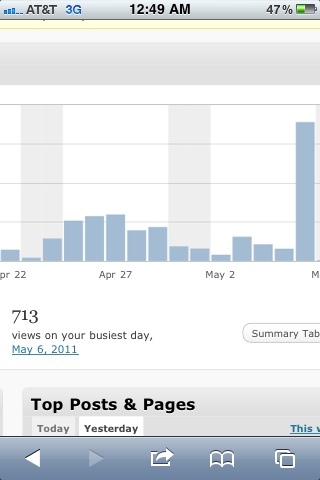 Record setting day for the blog. Previous daily high was 457 set on August 21st. Yesterdays total: 713. Straight thuggin! ← CGJRPC Episode 19 | CJ in Cuffs, Live Show Recap and We Got Him!